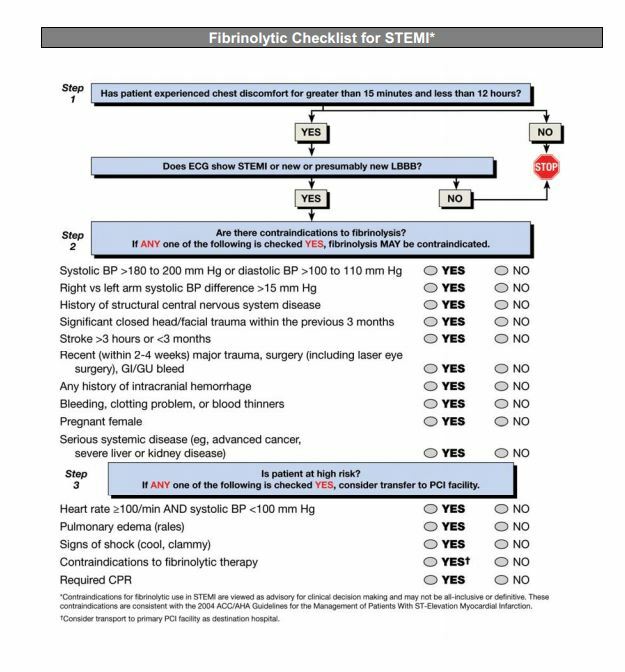 The Fibrinolytic Checklist, used in ST-Elevation Myocardial Infarction (STEMI), is in The ACLS Provider Manual Supplemental Material. This is an 85 page pdf document and contains important information that complements the material in the 2011 book, Advanced Cardiovascular Life Support Provider Manual. This entry was posted in Advanced Cardiac Life Support, Cardiology, Emergency Medicine, Guidelines. Bookmark the permalink.